Aeroplan is one of the oldest and most popular loyalty reward programs in Canada. The program allows you to redeem points for Air Canada flights or flights from any other Star Alliance member airline. You also have the option to redeem your points for other travel and merchandise expenses. However, those may not prove to be as valuable. Compared to many popular rewards programs that come with other credit cards, Aeroplan points don’t have a consistent value. The number of points you need to earn will vary based on what item you wish to purchase using your miles. When considering flights, you’ll often find that the number of points required varies by both destination and the time of year. Here we have mapped out what you need to know if you’re looking to maximize the value of your miles. Ratehub.ca has determined that the average value of an Aeroplan mile is approximately $0.012. If you want to maximize the value of your points, make sure to only use points when the redemption value is greater or equal to the benchmark. If you happen to find a flight that gives you less value than $0.012, you should consider paying with cash and saving your miles for another purchase. Since Aeroplan doesn’t offer a consistent point value, you should select flights that offer you the greatest value. There are often more valuable flight regions that you should take advantage of. Ratehub.ca has determined the average value of a mile for specified flight regions. Based on this analysis, if you’re looking to maximize the value of your points, you should redeem your points when flying to Australia, New Zealand, and the South Pacific. Long-haul flights within Canada and the United States (including Hawaii) also offer a great redemption value. The Aeroplan program also allows you to redeem your miles for hotels, rental cars, and gift cards. However, you shouldn’t take advantage of these options if you’re looking to maximize point value. In general, you’ll receive the best value when you redeem your miles for flights. For example, let’s look at using your points for an Air Canada gift card. Ratehub.ca has calculated a conversion value of anywhere from $0.0083 to $0.0086 per mile. This is much lower than the benchmark of $0.012. If you’re looking to maximize the value of your points. it’s clear that you should redeem your miles for air travel instead. Another important thing to keep in mind is the number of points you’re earning. You want to get the most of your Aeroplan credit card and in order to do that you’ll want to maximize the number of points you earn. Among all Aeroplan credit cards, the TD Aeroplan Visa Infinite card is an excellent choice. Welcome bonus of up to 30,000 Aeroplan Miles – enough for an economy long-haul flight! 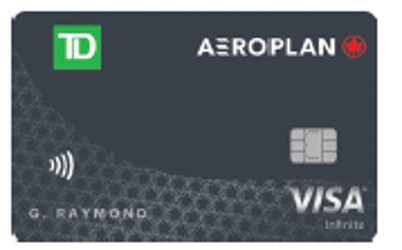 The TD Aeroplan Visa Infinite credit card allows you to earn 1.5 miles on all gas grocery, travel and pharmacy purchases. 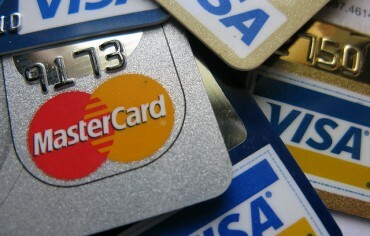 It will also allow you to earn one point on all other purchases. This is a great rate of earning for an Aeroplan credit card. You can also count on additional perk such as a full rebate for the first year’s annual fee, a welcome bonus of up to 20,000 Aeroplan Miles, and a list of Visa Infinite features including travel insurance coverage. Air Miles will let customers use their Cash Miles for in-store redemptions again beginning on Wednesday.